GOOD GRIEF, CHARLIE BROWN! Celebrating Peanuts and its Cultural Legacy – showcasing contemporary works inspired by Snoopy, Charlie Brown and the rest of the Peanuts gang alongside original drawings from creator Charles M. Schulz. Image credit: 6. 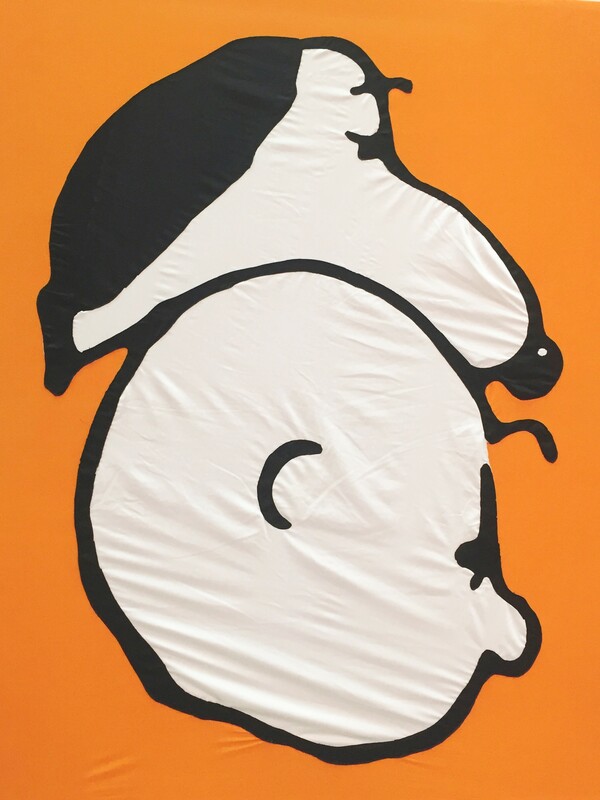 Des Hughes, Snoopy Banner, 2015, Courtesy of the artist. For more information check back here.